Which IPL match is on Tuesday? On Thursday (April 3) the match will be played between SRH vs CSK. The match will begin at 8 pm in India at 3:30 pm in the UK. It is to be noted that this would be the first match of IPL 2019 to played in Delhi’s Feroz Shah Kotla. 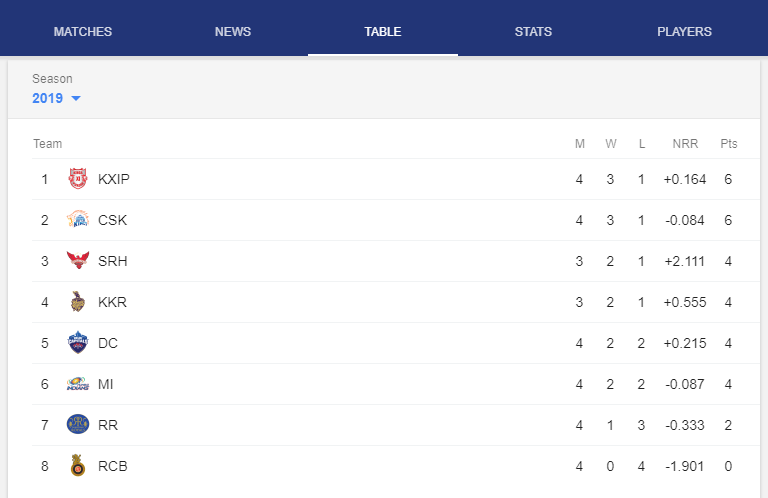 What TV channel and the live stream is the IPL 2019 on? Talking about Indian cricket lover, they can watch IPL 2019 live streaming for free on a television channel Star Sports, which has the right to telecast IPL 2019 and will broadcast Mi vs CSK match live across its network. The live streaming online of IPL 2019 will also be available on popular mobile application Hotstar and website. In India, Star Sports won the rights to five years of IPL coverage in a massive £1.8bn deal last year, the most lucrative TV contract ever in cricket history. Talking of UK viewers, they can find the channel on Sky (channel 729) and Virgin Media (channel 801). You can also purchase Hotstar for £11.99-a-month or £59.99-a-year to watch IPL 2019 live coverage. Apart from all these, it should be noted that all 60 matches will also be broadcast on BT Sport after the channel purchased the rights at the eleventh hour. What time is the IPL on? The match of SRH vs DC is scheduled to begin at 08:00 p.m (IST) onwards and viewers can watch the live streaming or live score on multiple channels of mobile apps for free.